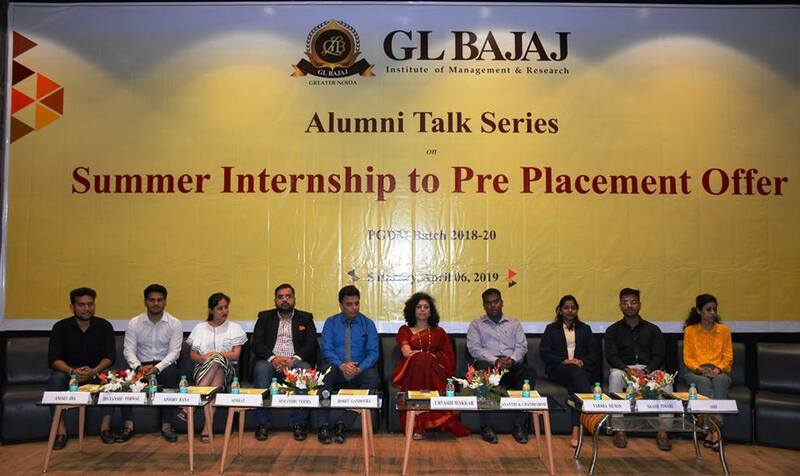 GLBIMR believes in the strength of alumni network and values their contribution towards institution building. In adherence with this philosophy, the institute organized Alumni Talk Series on "Summer Internship to Pre Placement Offer" on April 6, 2019. 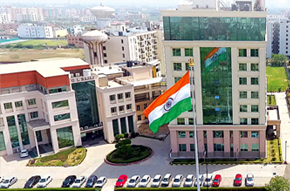 This initiative was taken under the guidance of Mr. Pankaj Agarwal, Vice Chairman, GL Bajaj Educational Institutions and Dr. Urvashi Makkar, Director General, GLBIMR with the objective of developing strong industry connect through alumni. The experience sharing session was undertaken by Mr. Rohit Gandotra, Senior Manager - US Sales and Marketing, 10 Times Pvt. Ltd., Mr. Himanshu Verma, Assistant Manager, KPMG, Ms. Varsha Menon, Business Analyst, Mindflow Partners, Ms. Anjali Jha , Senior Executive- Client Relation, Info Edge : Jeevansathi.com, Mr. Apoorv Rana, Administrative Executive, Raphe Mphibr, Mr. Divyanshu Porwal , Business Development Executive, Flipkart, and Mr. Asif Alim, Manager- Equity Trading, Saxo Bank. They shared their own success stories along with giving positive input to students for performing well in their internship. They highlighted the importance of being proactive, inquisitive and initiative taking ability to convert Internship into a placement offer The whole session was very interactive as well as informative that provided students with much needed inputs for success.